A state Senate bill that would allow electric vehicle manufacturer Tesla and others to open stores and service centers in New Mexico was approved by the Public Affairs Committee on Jan. 31. The measure, known as Senate Bill 243 and backed by Sen. Jerry Ortiz y Pino (D-Albuquerque) and Sen. Bill Tallman (D-Albuquerque), now must receive approval from the Corporations and Transportation Committee before moving to the Senate for a vote. The bill was approved 4-3 along party lines, with Democrats voting in favor and Republicans voting in opposition. The legislation amends a state law that prohibits vehicle manufacturers from selling directly to consumers or providing service through their own facilities rather than through a franchise dealership. The revised version exempts manufacturers if they meet three criteria: the business has no franchise dealers in New Mexico; it sells and services only those motor vehicles that it manufactures; and it sells only electric vehicles powered by batteries or fuel cells. A sizable contingent of Tesla supporters attended the hearing, as well as representatives of local auto dealers who opposed the bill. Meredith Roberts, senior policy adviser and counsel with Tesla, argued that the bill is in the interest of New Mexico consumers. 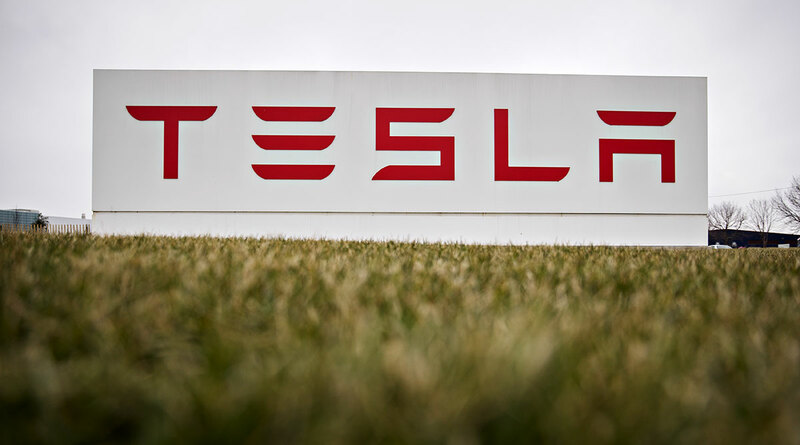 The current law prevents Tesla from maintaining any brick-and-mortar presence in the state and makes repairs cumbersome for the state’s Tesla owners, Roberts said. Charles Henson, president of the New Mexico Automotive Dealers Association, spoke out against the measure at the hearing. He said the state’s dealerships pay $365 million a year in payroll to thousands of employees, among other investments. That investment is jeopardized, he said, if dealers have to worry about manufacturers setting up competing dealerships. An identical measure, House Bill 294, is awaiting a hearing by the Commerce and Economic Development Committee. Senate Bill 140, which was similar to SB 243 and HB 294, died in committee earlier in the session. In a fiscal impact report, the Legislative Finance Committee said that the bill likely would generate additional tax revenue for the state. The committee used the median price of electric vehicles across all manufacturers, which is $160,000. Assuming that unit price, the analysis estimated each car sale under the revised law would generate $4,800 for New Mexico. According to the company, about 600 Tesla owners are in New Mexico. Tesla says each new service center or store typically results in between 15 and 20 new jobs and $1 million in local economic impact. The committee approval comes four months after a tense legislative committee hearing on the subject. While most members of the Courts, Corrections and Justice Committee supported the measure, Sen. Jacob Candelaria (D-Albuquerque) blasted Tesla for seeking “monopolistic control by giant tech companies” and accused the company of minimizing the economic impact of the state’s car dealerships. He also invoked the specter of two Tesla projects that never came to fruition here: an Albuquerque manufacturing plant that was announced in 2007 but eventually was built in California, and a lithium-ion battery “gigafactory” that began construction in Nevada in 2014, though New Mexico was a finalist in the selection process. At the interim committee hearing, Tesla representatives acknowledged those decisions had affected New Mexico but said changing the law is in the best interest of the state’s consumers. Through a spokesman, Sen. Candelaria declined Jan. 31. to comment on SB 243 or Tesla.